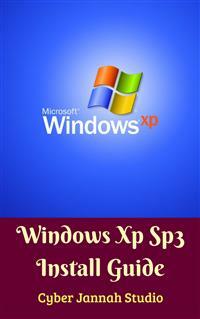 Windows Xp Sp3 Install Guide Ebook For Student. Windows XP (codenamed Whistler) is a personal computer operating system that was produced by Microsoft as part of the Windows NT family of operating systems. It was released to manufacturing on August 24, 2001, and broadly released for retail sale on October 25, 2001. Development of Windows XP began in the late 1990s as "Neptune", an operating system built on the Windows NT kernel which was intended specifically for mainstream consumer use. An updated version of Windows 2000 was also originally planned for the business market; however, in January 2000, both projects were shelved in favor of a single OS codenamed "Whistler", which would serve as a single OS platform for both consumer and business markets. As such, Windows XP was the first consumer edition of Windows not to be based on MS-DOS. Upon its release, Windows XP received generally positive reviews, with critics noting increased performance and stability (especially in comparison to Windows ME), a more intuitive user interface, improved hardware support, and expanded multimedia capabilities. However, some industry reviewers were concerned by the new licensing model and product activation system. Extended support for Windows XP ended on April 8, 2014, after which the operating system ceased receiving further support or security updates to most users. As of May 2018, 2.98% of Windows PCs run Windows XP, and therefore XP represents 2.5% of the overall desktop operating system market share. In the late 1990s, initial development of what would become Windows XP was focused on two individual products; "Odyssey", which was reportedly intended to succeed the future Windows 2000, and "Neptune", which was reportedly a consumer-oriented operating system using the Windows NT architecture, succeeding the MS-DOS-based Windows 98.